Don’t be fooled by Costa Rica’s diminutive size – It is chockablock with places and activities you just wouldn’t want to miss. Picking seven favorites from the pile is tough. But covering every spot during your vacation – that’s tougher. A whistle-stop tour is in nobody’s interests anyways. Our pursuit of vacation happiness is better served when we don’t jam-pack our itineraries but focus on a few things that really matter to us. With this agenda in mind, we’ve shortlisted top 7 places in Costa Rica you must visit at least once in your lifetime. The vignettes we present here are assembled in no particular order; they are, however, a nod to Costa Rica’s diverse topography. We’ve steered clear of the Caribbean coast, because it’s so different from the Central and South Pacific, that it merits a post of its own. The things you can do in each place are hinted at the end of each section. 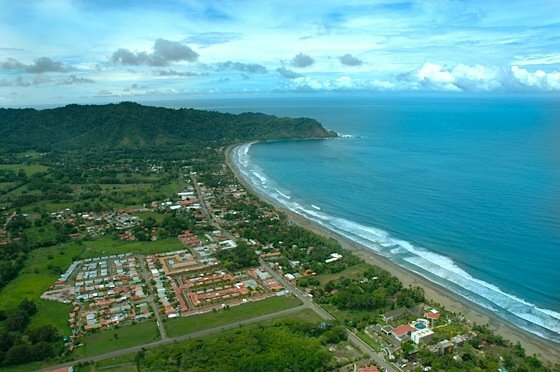 A four-kilometer beach strip, Jaco is where most of the beach life in Costa Rica is concentrated. High-rise condos and charming villas for those with deep and not-so-deep pockets, seafood restaurants, bars, and surf and souvenir shops lining the strip signal a beach town of extraordinary proportions. You can experience the Tico culture (Did you think food? There’s plenty to be had at the beachside restaurants) and mingle with fellow gringos. Yes, the place is practically overrun by Americans and Canadians. It might feel a bit like home but not in a discomfiting way, thanks to the exotic ambiance and liberal mores of the beach town. Days and nights are pretty busy in Jaco, with surfing taking a lion’s share of the activities during the day. The consistent breaks at Jaco give surfers a chance to learn and hone their surfing maneuvers. The town is a hedonistic heaven once night falls – right for you if you are the music-loving, bar-hopping kind. Due to its proximity to several other places of interest, such as Herradura (to the North) and Hermosa (to the South), and the rich supply of hotels, many choose Jaco as their Costa Rica vacation capital, choosing to fork out from there for the rest of their tours. Takeaway: If a beach vacation tops your list, then this the best place to stay! Things to Do: Surfing, ATV tours, fishing, crocodile safari, visits to national parks, nightlife. This place comes with a huge reputation and, it goes without saying, a huge tourist population. The approach road to the Park can be annoying with its gaggle of shops and hotels. But all that’s soon forgotten once you enter the park. 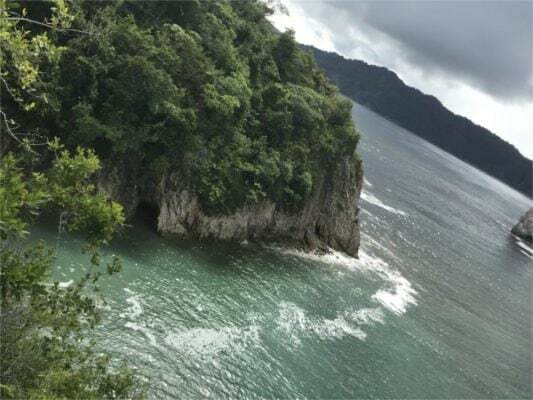 What nature has conjured in Manuel Antonio with its idyllic beaches, forested hills, and quaint geological formations is more than words can describe. Extremely photogenic, Manuel Antonio comes out looking good in every picture you take. 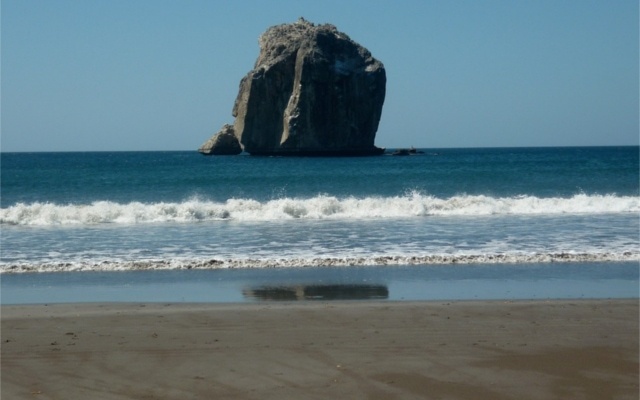 There are three beaches in Manuel Antonio, all of them in pristine condition. Long, white, and sandy (unlike in Jaco, where the sand is darker), teased by gentle waveforms and hemmed in by verdant rainforests, the coast is a visual feast. The beachophile in you will be tickled no end by the enchanting optics. You can cut loose from the crowd that throngs the park by taking any one of the nature trails. Your senses will be in overdrive absorbing the ambient sounds and sights. You’ll be humming happily after your encounters with sloths, monkeys, and hummingbirds. The 1992 period drama was shot in Manuel Antonio, Costa Rica. 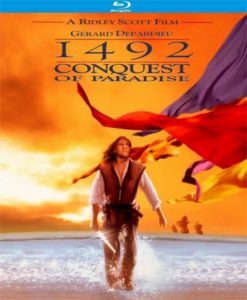 The park made it to celluloid in 1992 through Ridley Scott’s epic drama 1492 Conquest of Paradise. Manuel Antonio (pictured as the New World discovered by Columbus) is as stunning in real life as in the movie. Things to Do: Swimming, snorkeling, surfing, hiking, zip lining, rappelling. This one is a showstopper! 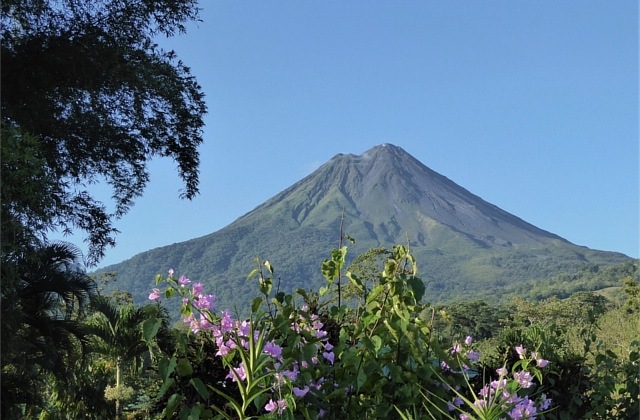 Although Costa Rica is no stranger to volcanoes, Arenal has stood out and stupefied mortals for centuries. Going by looks, Arenal Volcano is exactly how you’d have drawn a volcano as a child for your art class – a perfect cone coughing up boulders and molten lava. Its temperamental outbursts are a coveted nightly spectacle. Arenal volcano, deceptively sweet, on a clear day. At night, it spits fire and brimstone. It’s always wise to have a local guide accompany you in Arenal. While helping you keep to safe zones, the guide will also fill you in on trivia (how Arenal trembled for the first time in 1968 causing great devastation, and keeps spewing, smoldering to this day.). While the volcano usurps a lot of our attention (when it’s not wrapped up in clouds or blotted out by rains, which is, unfortunately, very often), it is not the only attraction in the area. Fishing in Arenal Lake at the base of the mountain is a favorite pastime for anglers. Don’t miss a dip in the Tabacón river, naturally warmed by the volcano. There are thermal springs in La Fortuna that you can use for a fee or for free. Things to Do: Hiking, fishing, windsurfing, whitewater rafting, waterfall jumping, soaking in hot springs. For an authentic experience of Costa Rica’s celebrated rainforests, you need to come to Corcovado National Park in Osa Peninsula. Everything else you saw outside was just a curtain raiser – THIS is the real deal. We are talking of a mind-boggling 127,000 acres of sheer tropical jungle. Vegetation and wildlife thrive here like it’s the beginning of creation. Crowned the most biologically intense place on Earth by National Geographic, Osa didn’t always have it that easy. It was ravaged for decades by gold diggers and speculators who laid siege to the territory. Government intervention since has tamped down the gold rush and illegal logging. 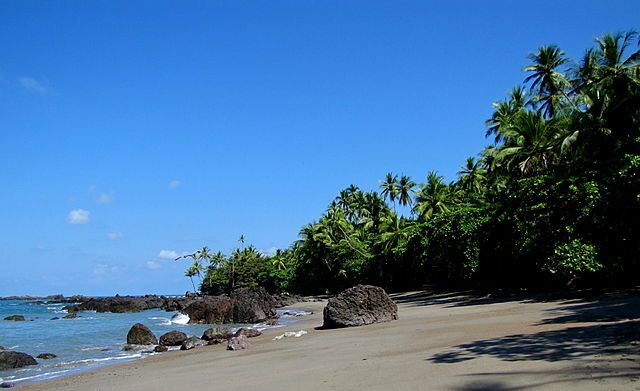 Corcovado, today, is a shining example of ecotourism. Amidst the scarlet macaws, tapirs, and monkeys, you experience the untainted wild firsthand. For a fuller experience, you need to prep for a challenging hike, sometimes cutting through crocodile-infested rivers. For die-hard fans, no climb is treacherous enough if they can enjoy pristine nature at the end of it. Corcovado delivers it without reserve. Having a guide is helpful in Corcovado too, because, as locals, their knowledge of the trees and the wildlife is greater than what you can glean from a printed travel guide. Also, as well-informed sources, they can help you complete your trail much more efficiently. Things to Do: Hiking, camping, sightseeing, canopy tour, monkey tour, waterfall tour. A picturesque island getaway. To reach Tortuga Island from Jaco or Puntarenas, it takes one-and-a-half hours on a motor-powered catamaran. The cruise affords some rare sightings of dolphins and other normally elusive marine life. For some, it might seem like a slow day, but the pace picks up once you sign up for one of the many sporting activities on the island. The island has a history, partly shrouded in myth and partly supported by facts, dating back a few centuries. Isolated and largely inaccessible once, it was the perfect hideout for ancient Caribbean pirates. Who knows? The island probably rests on their bones and plunder. People wax eloquent about the powdery sandy beach and the turquoise blue waters in Tortuga, but those are not the only attractions in this island. While the beach is ideal for some serious time under the sun, you can also hike through the forested hills and pet the peccary that has now become a permanent resident of the beach. The clear water at Tortuga is ideal for snorkeling. There are a couple of spots where you can come face to face with the fragile creatures of the ocean, namely angelfish, porcupine fish, spotted eagle ray, among others. A prized spot for snorkeling is the offshore volcanic rock reef. Scuba diving is another favorite sport. The personnel here will fit you with the right gear for both activities. Things to Do: Sunbathing, playing volleyball, kayaking, riding banana boat, scuba diving, snorkeling. Folklore and natural beauty make Tortuga Island a much-loved destination. There’s something about the term “cloud forest” that captivates our minds at once. So does Monteverde in Central Costa Rica. The 11,100-acre forest is covered in mist and is way lot cooler than the lowland rainforests. It is a unique ecosystem that nurtures hundreds of birds and animals and thousands of plant species. 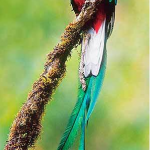 Most famously, it’s home to Costa Rica’s national bird, the resplendent quetzal. 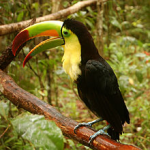 Monteverde is a true birdwatcher’s delight. Even without a trained eye, you can spot the hummingbirds because they are so profuse and bright against the verdant backdrop. 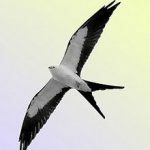 How much more ecstatic will you be if you can sight the bare-necked umbrellabird, keel-billed toucans, and swallow-tailed kites, all of which have a high chance of showing up at Monteverde! The Monteverde Cloud Forest is home to these free-flying beauties. The forest is unspoiled and proudly supports trees that are centuries old. Located at an altitude of some 1440 meters, it offers unhindered views of the two coasts that straddle Costa Rica. The Reserve is privately owned and visitors are required to pay a fee, but the nature walks you take here amid the low-hanging clouds to the beat of birdsongs are worth their weight in gold. 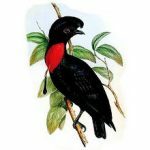 Things to Do: Hiking, birdwatching, canopy tours, zip lining. Sometimes referred to as the cattle country, Guanacaste is dry compared to the rest of Costa Rica. The swirling dust from the plains can be a bit of a bother when you are driving. But if you can keep your windows rolled up, the roads won’t be so hard to negotiate. Guanacaste is best visited during the rainy season. Wait. did you get a desert-like picture of this northwestern province? Guanacaste is more than just arid plains and cattle ranches. There are phenomenal beaches that draw people from far-flung corners of the world. The coast is dear to surfers and naturalists alike. And that’s not the end of the topography here. Guanacaste also hosts a range of mountains and active volcanoes. Nestled in the peaks of those mountains are some of its cherished parks, the most famous of them being Rincón de la Vieja Volcano National Park. Hikers hark: There are seven exciting trails that course through boiling mud pots – something you’ll see nowhere else in Costa Rica. A province once held by Nicaragua, Guanacaste has a rich cultural tradition. You can experience this culture to this day in their music, language, and dance. Miss Guanacaste and you’ve missed an ethnic bit of Costa Rica. Things to Do: Hiking, birdwatching, surfing, swimming. Need Help With Your Costa Rican Itinerary? We’ll Fix It For You. Send us all the important details – your group size, preferred dates, places you want to visit, and things you want to do. Write to us at bookings@jacoroyale.com or send us a message via our website.